All voltages: AC 100-240V input. Compatible with all voltages around the world. Multi-devices linkage: RJ12 standard port, support multi motors controllability, manual switches available for each motor. Emergency break system: when unexpected stop happens during movement, the movement will stop automatically. 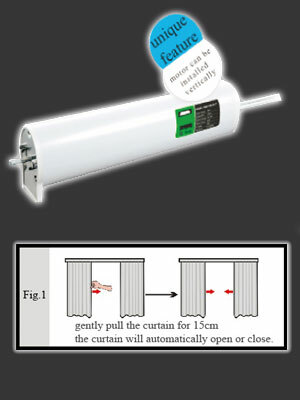 Manual initiation function: when plugged in, gently pull the curtain for 15cm, the curtain will automatically open or close. 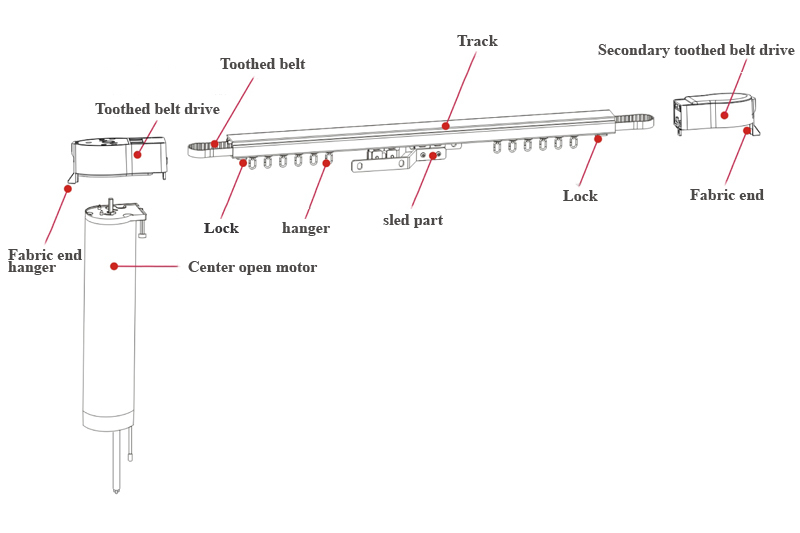 Manual: when power outage, the curtain can be open or close manually, just like manual curtain. Free location setting: Instead of being fully closed or open, one more stop point can be set. Brings better control ability. Silence design: high precision DC motor, leading intelligent design, features buffer system for movement initiation and stop, light and quieter. 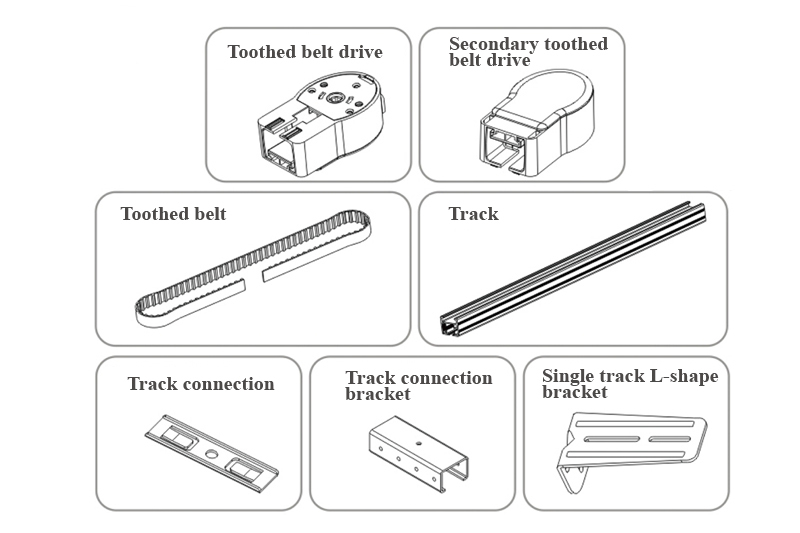 Multi-controllability, widely used: Depends on purposes, available for wireless remote control, wire switches, R232/485 communication etc. Memory system: doesn’t require manual setting for open and close, auto detect stop points, doesn’t require reset when the system restart. 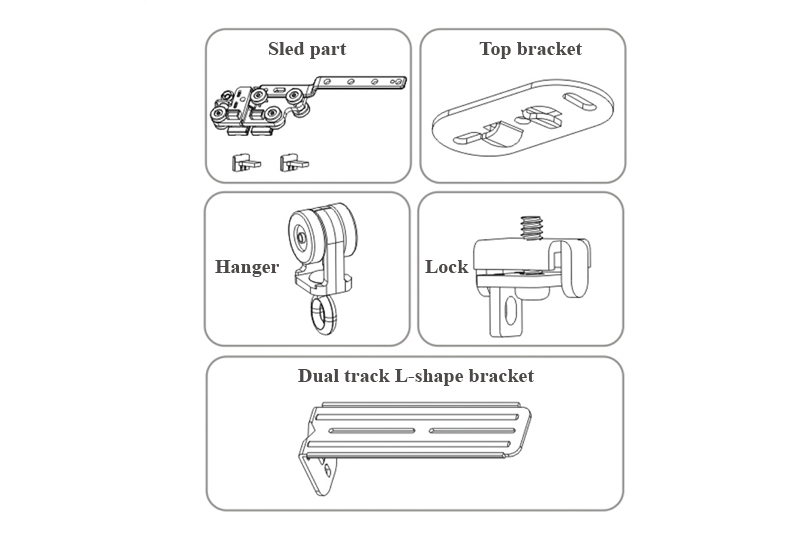 Protect the parts from collisions and noise.